The purpose of our study is to evaluate whether the hamstring tendons can regrow after harvesting for anterior cruciate ligament (ACL) reconstruction and whether the regenerate tissue can be histologically characterized as tendinous. Eleven of the patients (eight female and three male; mean age, 23 years; range 17–37 years) consented to participate in this study. One year after the ACL reconstruction, surgical biopsy was done. Regeneration of the tendon was detected macroscopically in 9 of the 11 patients. Histologically and immunohistochemically, the regenerated tendons closely resembled normal ones. 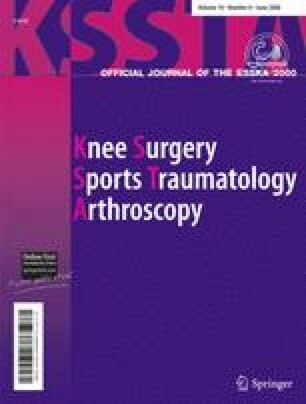 The results of this study show the hamstring tendons can regenerate after harvesting for the ACL reconstruction. No benefits in any form have been received or will be received from any commercial party related directly or indirectly to the subject of this article. No funds were received in support of this study.